Cuticle Oil is an essential treatment to keep your nails and cuticles healthy. 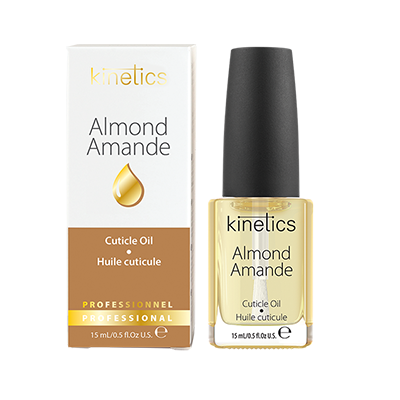 Cuticle oil stimulates healthy nail growth, nourishes and softens cuticles and protects skin. With daily use, it improves nail condition and keeps cuticles supple and healthy. Cuticle oil heals dry, brittle, and damaged cuticles. 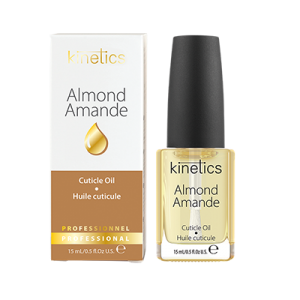 • Sweet Almond Oil - Easily penetrates into the skin and nail plate, leaving a non-greasy feel. Helps to balance loss and absorption of moisture in the nails and cuticle. Nourishes and softens the skin. Protects skin from environmental factors and heals damaged and irritated cuticles. • Vitamin E - Possesses strong antioxidant properties, protecting the skin from harsh damage by free radicals. Increases moisture content and promotes healing for brittle, dry, and damaged skin. • Myrrh Oil (Almond and Orange Oils) - Delivers a healing and rejuvenating effect, especially for dry and damaged skin. Provides proper balance for skin hydration. • Lemon Peel Oil (Lemon Oil) - Calms irritated and inflamed skin, removes redness. Defends skin and fights infections. Acts as a mild skin lightener.